Watch Tove Lo's new 'Habits' music video. Swedish singer-songwriter Tove Lo, has released a brand new music video for her single 'Habits' - which features on her recently released debut 'Truth Serum’ EP. About her new video, she says: "My new video for Habits premieres today!!! I'm not lying when I say I barely remember half of this recording. I wanna thank my wonderful team Motellet and Autoboys. You know how to make good use of my roller coaster emotions. I wanna thank my awesome friends Vanessa, Lone and Johan who agreed to make out with me for three days straight. Hope this video goes straight to your hearts!" P.S. Click HERE to read our latest interview with Tove Lo. MusicTove Lo - 'Habits (Stay High)' live on Conan. MusicMust-listen: Tove Lo unveils new single, 'Cool Girl'. MusicTove Lo - 'Moments' music video. MusicWatch: behind the scenes of Years & Years' 'Desire' music video. 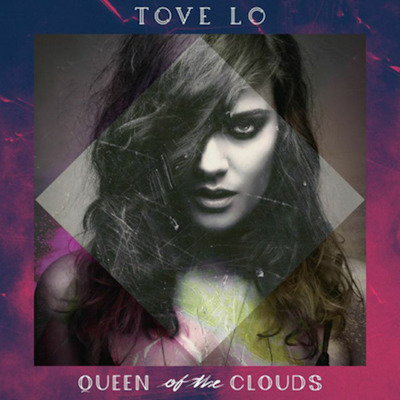 MusicTove Lo - listen to new songs, 'Moments' & 'Timebomb'. MusicTove Lo - listen to new song, 'Not On Drugs'.